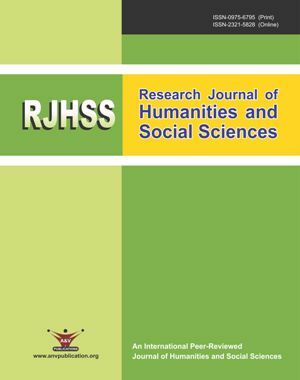 Research Journal of Humanities and Social Sciences (RJHSS) is an international, peer-reviewed journal, correspondence in the fields of arts, commerce and social sciences. The aim of RJHSS is to publishes Original research Articles, Short Communications, Review Articles in Linguistics, Commerce, Anthropology, Sociology, Geography, Economics, History, Environmental Studies, Business Administration, Home Science, Public Health, Political Science, Demography, Cultural Studies, Ethnography and Sociolinguistics. The journal is published quarterly every year in last week of March, June, September and December. All submitted manuscripts should contain original work neither published previously nor under consideration for publication elsewhere. Articles shall be accepted from any country provided submitted in English, Hindi and Marathi language only. 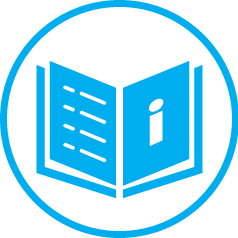 There is no page limitation for articles up to twenty pages; the authors must strive to present their results as clearly and concisely as possible. Authors, in their cover note to Editor, shall have to clearly mention whether the manuscript is to be considered as a Research article, Short communications or a Review article. The article entitled __________________________is herewith submitted for publication in Research Journal of Humanities and Social Sciences (RJHSS). It has not been published before, and it is not under consideration for publication in any other journal (s). It contains no matter that is scandalous, obscene, libelous, or otherwise contrary to law. When the article is accepted for publication, I/We, as author/authors, hereby agree to transfer to Research Journal of Humanities and Social Sciences (RJHSS) all rights, including those pertaining to electronic forms and transmissions, under existing copyright laws. I/We agree that copies made under these circumstances will continue to carry the copyright notice that appeared in the original published work. I/We certify that I/We have obtained written permission for the use of text, tables, and/or illustrations from any copyrighted source(s), and I/We agree to supply such written permission(s) to Research Journal Humanities and Social Sciences (RJHSS) upon request.